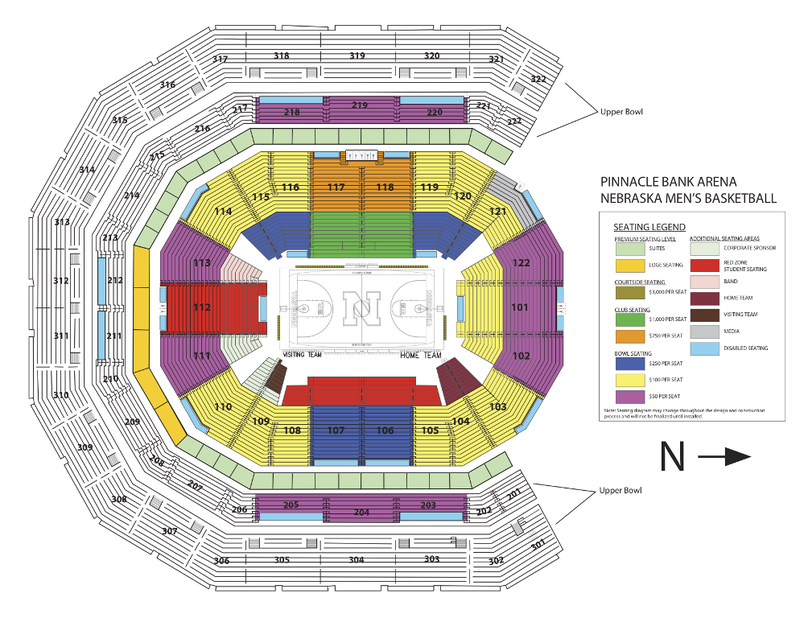 Click the links below to see a detailed map of each level of Pinnacle Bank Arena. Main Ticket Office - located on the event level in the south lobby. 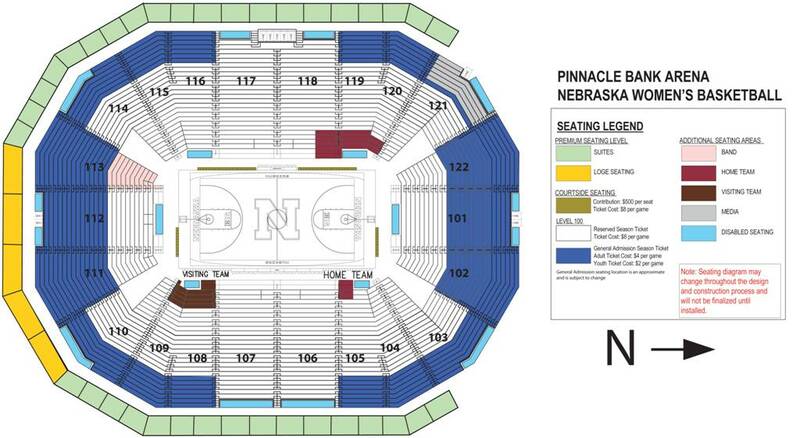 Guest Services - located behind Section 112. First Aid - located behind Section 111.